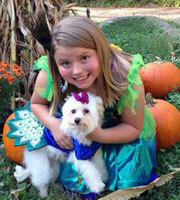 Make your Maltese dog famous and win some cool prizes by entering the latest Maltese Maniac dog photo contests. New Maltese dog contests are added every month or so, and are usually dog photo competitions or video contests for Maltese and Maltese mixes only! Prizes vary, but are usually valued at $50 or more. Our newsletter subscribers are always notified of any new dog contests we hold, so don't forget to subscribe. The latest contest is below! This contest starts October 7th 2015 and ends October 21st 2015. 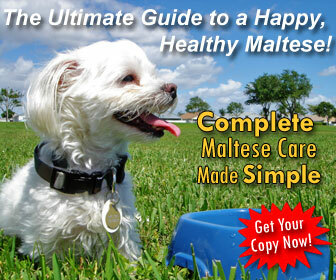 Win a free copy of my ebook: Completete Maltese Care Made Simple for a photo of your Maltese looking cute in a costume. Enter 2015 Cutest Small Dog Costumes for Maltese Dogs Photo Contest. 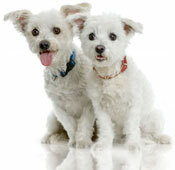 Be notified of all new dog photo contests by signing up for our e-news here. This contest is open to anyone 18+ years of age. NO PURCHASE IS NECESSARY TO ENTER THIS CONTEST. 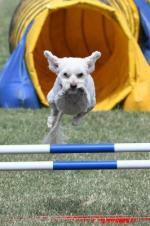 Only entries of Maltese dogs and Maltese mixes are eligible to win a prize package. The same dog may be entered more than once, but each entry must be unique. Entries must be submitted by 11:59 PM (Pacific Standard Time) on the day specified on the contest entry page. Void where prohibited. Winner will be decided by Maltese Maniac with the help of user comments and ratings on each entry. The winner will be selected two days after the last day specified on the contest entry page. 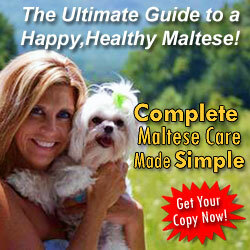 Maltese Maniac will notify the winner via email following the closing date of the contest. If the selected winner is unreachable, ineligible, or fails to claim the prize package within 48 hours, the winner will forfeit their place standing and prizes and an alternate winner will be selected. 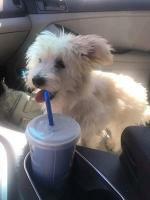 Prizes will be awarded to the best entry as decided by Maltese Maniac. Prizes may carry their own limitations, and/or specifications that can be viewed by following the prize information links. Prizes will only be shipped within the United States or Canada. winner must provide a U.S. or Canadian ship to address in order to receive their prizes. No part of the contest prizes are transferable. Maltese Maniac is not responsible for entries not received due to internet access problems, service outages or delays, or any other technical difficulties or glitches. By entering this contest, participants indicate their acceptance of these Official Contest Rules and, except where prohibited by law, the winner will be required to consent to the use of their first and last names, state or province, country, and/or prize information, without limitation for promotional purposes and without further payment. By submitting an entry, participants release Maltese Maniac, its owner, our contest sponsors and their affiliated companies from any and all liability for any claims, costs, injuries, losses, or damages of any kind arising out of or in connection with any prize (including, without limitation, claims, costs, injuries, and losses related to personal injuries, death, damage to or destruction of property, or rights of publicity or privacy). EMAIL ADDRESSES SUBMITTED TO MALTESEMANIAC.COM WILL NOT BE SHARED, SOLD, OR DISCLOSED TO THIRD PARTIES, EXCEPT AS REQUIRED BY LAW. By submitting an entry and/or photos, participants grant maltesemaniac.com the right to use and/or publish their ideas and images on Maltese Maniac web site, in the Maltese Maniac e-newsletter and/or in ebook format. Entrants agree to be bound by these Official Contest Rules, which are final and binding. These Official Contest Rules constitute the entire agreement of the parties with respect to the subject matter addressed here and may not be altered except by a written document signed both by qualified representatives of maltesemaniac.com and the entrant. To the maximum extent permitted by law, maltesemaniac.com reserves the right to change these Official Rules at any time. Any entrant who violates these Official Rules will be subject to disqualification. If you have any questions, please dont hesitate to contact me.